The Supreme Court today ordered former Telecom Minister in the UPA regime Dayanidhi Maran to appear before CBI for six days, starting November 30, for questioning in the illegal telephone exchange case. A bench headed by Justice T S Thakur however rejected the CBI plea for his custodial interrogation. Appearing for CBI, Attorney General Mukul Rohatgi vehemently argued for it contending it was essential to prove conspiracy involving him, Sun TV and BSNL. Extending the interim relief of protection against arrest of Maran, the bench asked him to fully cooperate with the CBI and and answer all questions to their satisfaction. Maran will have to remain present in the CBI office from 11 am to 5 pm during November 30 to December 5 period, it said. "However, we will not grant you custodial interrogation at the moment," the bench told CBI. According to the prosecution, Maran as a minister entered into a criminal conspiracy with officials of the BSNL and by abusing their official position, caused a huge financial loss to the exchequer to the tune of Rs1.78 crore. The high court held that "prima facie" Maran had "misused" his office by obtaining telephone connections "illegally" and allegations against him were backed by material. 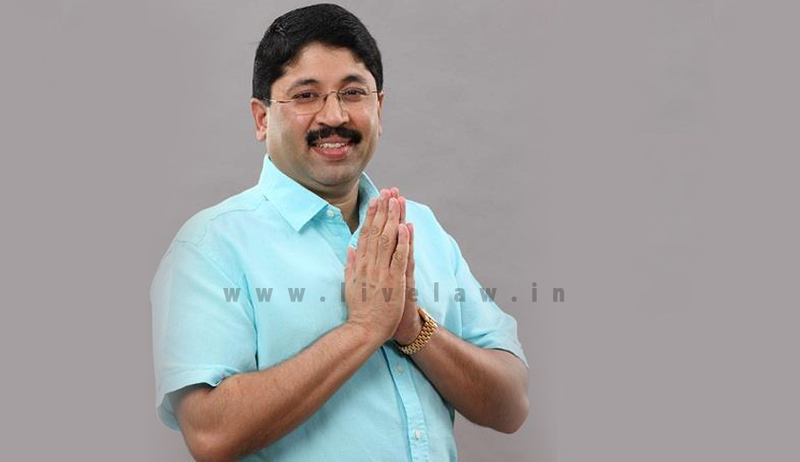 The court had on August 14 accorded urgent hearing to Maran’s petition challenging cancellation of his anticipatory bail by the Madras High Court in the case and granted him interim protection till September 14. Cancelling his anticipatory bail, Madras High Court had on August 11 ordered Maran to surrender within three days to face charges of having the illegal telephone exchange in his house during his years in office between 2004 and 2007. Maran had approached the apex court with just 48 hours remaining for surrender deadline to end. Heading the bench, justice Thakur had asked CBI if political vendetta was behind the sudden urge for Maran’s arrest. “Are you attempting to fix him ? What is the need for arrest of a man for rupees one crore pending phone bill. FIR was filed in 2013, why didn't you arrest him then? Why did you wait for three full years?” Is it a matter of prestige for you to arrest him? Of course no body shall get away after causing loss to the public exchequer…but is custodial interrogation required in such cases? We do not feel so”. “Rs 800 crore worth of public money was lost in the NHRM scam in UP. But you have not made a single arrest. Here you want to arrest for 1 crore phone bill dues. Are you trying to get at him?" justice Thakur asked Rohatgi. “If you are of the conclusion that phone lines were fixed as part of conspiracy, question him and the BSNL officials. What is the need of arrest", the bench had asked. “See he is even ready to clear the dues”, the bench said after Maran’s lawyer said, "There is no criminality in this case, only monetary claim. We will pay if any dues". But Rohatgi argued that there was corruption writ large and he had used his leverage in the government to fix lines for misusing for his private business in Sun TV. Maran argued that the High Court did not consider the legal circumstances before cancellation of bail and the order was an error in law. He argued that bail was cancelled only when there was danger of the person fleeing the country or influencing the witnesses. Apprehending arrest in the case, Maran had moved the Madras High Court and Justice R Subbiah had on June 30 granted him anticipatory bail for six weeks subject to the condition that he appears before CBI on July 1 and cooperates in the investigation. CBI later moved the high court seeking cancellation of the anticipatory bail on the ground that he was not cooperating with the investigation.